Where did we film this? Prairies are as important in every respect as any forest. Because of several other factors they may be more important to humans than forests. Certainly to the average person they are misunderstood at best. The Prairie Chicken is considered an umbrella species because its survival is dependent on large, landscape level expanses of healthy prairie. But why should we care? 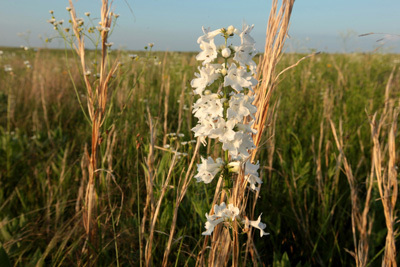 What makes a healthy prairie an important and integral part of a healthy planet? What does it give us that can't be obtained from forests, deserts, agricultural fields, and coastal marshes? Deep Roots - WATER FILTRATION. Prairie grasses are renowned for their deep roots. They are also renowned for water retention so they can and do thrive in drier climates. Prairie grasses form TOP SOIL. The matting of the diverse grasses and forbs traps soil particles in rainstorms. The deep roots breaks into bedrock and encourages soil formation. Worms and other soil building organisms thrive in prairies. DEEP ROOTS allow for tons of Carbon Sequestration. Between 60 to 80% of the mass of our native grasses are found underground. Roots are also the storage system for the plants energy. Instead of burning a ton of coal which produces 3 tons of atmospheric carbon (because it combines with Oxygen forming Carbon Dioxide there by tripling its weight) we could be burning a ton of grasses from restored prairies. By doing that you remove a ton of carbon for the next fifty years. How? Because the grasses continue to sequester the carbon. Why is the Diversity of the prairie so high? Like I was talking about earlier, the diversity of some plots of intensely studied prairies is as high as 400 species per acre. In any ecosystem there are variable which are out of the control of the plants and animals which live there. For instance, the amount of sunlight or amount of rainfall. In one given year an acre of prairie may experience 120 days of sun and in others 200. Or it may experience 110 degree summer heat or -55 below zero cold. Diversity allows for nature to stabilize the ecosystem effectively. Tornados and winds don’t have the same effect on a grassland as they would if they were tearing through a forest. With rain fall, some species of grass have more tolerance for higher amounts of moisture like cut grass or even sedges. Others have even higher tolerance for droughts like: so by having the high diversity of plants on that acre of ground Nature has evolved toward a system of stabilizing the land in a harsh and variable climate. After being a bountiful food source for a growing population for many years, the Heath Hen of the Northeast was the first to become extinct. Attwater's subspecies of the Greater Prairie Chicken has specific coastal habitat requirements that have rapidly disappeared. Today landscape level remnants of Tallgrass Prairie are shrinking rapidly and threatening our Greater Prairie Chicken. 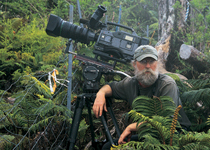 At Birdman Productions we make films about birds, and tell stories that change people's lives. Check out some samples of our work. © 2019 Birdman Productions LLC. All rights reserved.